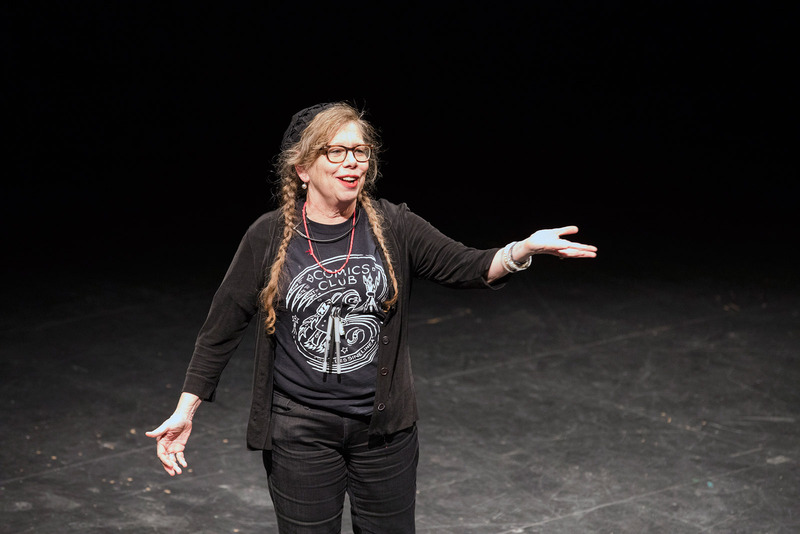 Cartoonist, artist, writer and professor Lynda Barry presented on creativity during Cornerstone Arts Week and then ran a workshop with students on not being afraid to express themselves through art. The college’s 17th annual Cornerstone Arts Week, open to CC and community members, featured two keynote speakers, a concert by a celebrated Inuit performer, a student installation curated by Nelson Kies ’18, a film, and a theatre production, all exploring this year’s theme, “What is the Creative Brain?” In addition to delivering their comments, the two keynote speakers, Robert Sapolsky and Lynda Barry, and Inuit performer Tanya Tagaq, spent time with CC students. Robert Sapolsky presented was the keynote speaker for Cornerstone Arts Week where he presented on “The Biology of Human Creativity: Are Our Tools That Much Better Than Chimps?” Sapolsky then met up with several convergence classes to have a question and answer session with students on the biology of creativity at Bemis Hall. 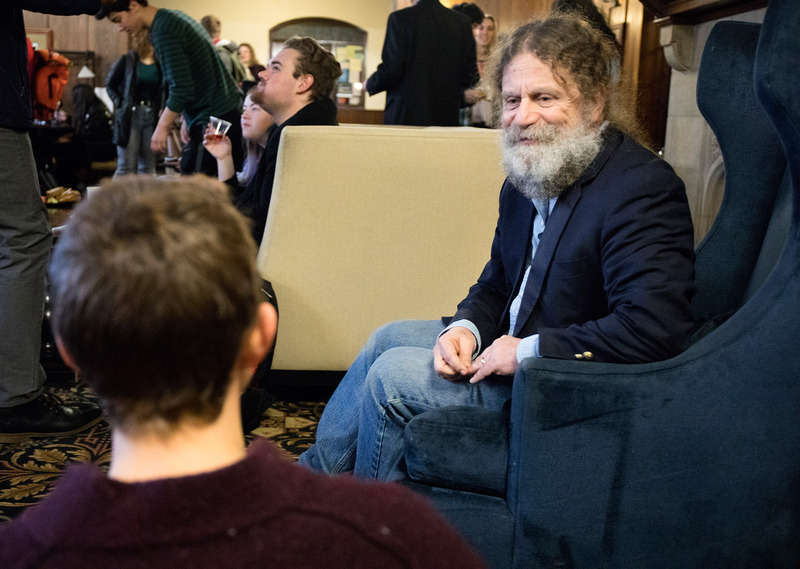 Sapolsky, the science and nature writer, biologist, neuroscientist, and stress expert, delivered a talk titled “The Biology of Human Creativity: Are Our Tools That Much Better Than Chimps’?” The next morning, he met with several convergence classes in Bemis Hall and held a question-and-answer session with students on the biology of creativity. Barry, who has worked as a painter, cartoonist, writer, illustrator, playwright, editor, commentator, and teacher (and finds them very much alike), discussed “What It Is.” She then led a workshop, “Drawing Words and Speaking Pictures: The Mysterious Thing We Call Comics,” with students in McHugh Commons that examined expressing oneself through art. 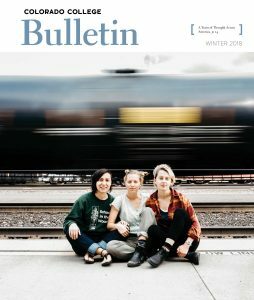 Tagaq, who presented “In Concert with Nanook of the North,” gave a slide lecture and held a question-and-answer session with students the following day, discussing her music and her upbringing and life as an Inuit. Later that evening, she met with Native CC students and faculty for dinner. 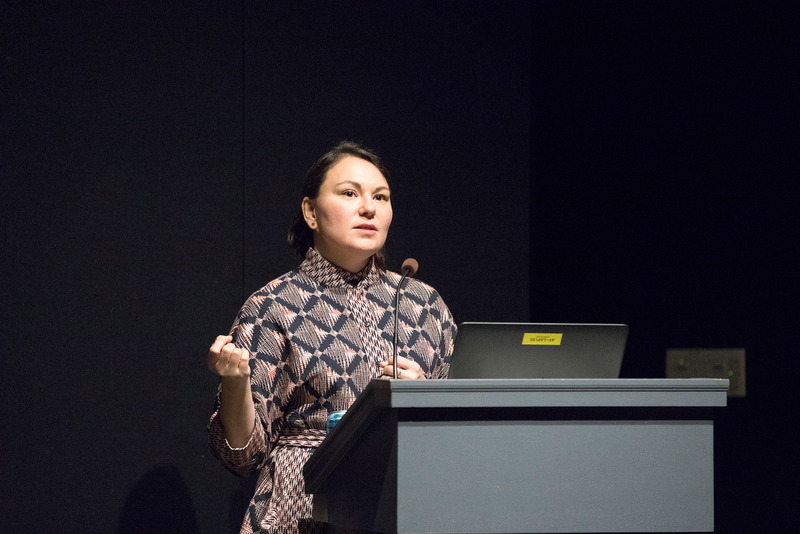 Tanya Tagaq performed along with the 1920s film Nanook of the North during CornerstoneArts Week and then had an open public discussion with students and the public to present her artwork and social causes around Inuit and Native cultures in Canada where she is from.